Configure Deluge Reverse Proxy nginx Linux to conveniently access your torrents on your home media server or NAS. When you are away from home then you can log in to your server and see the Deluge web interface. For ultimate convenience with your reverse proxy for people with dynamic IP addresses, use a free dynamic DNS service like AfraidDNS (guide for automating), DuckDNS or No-IP. After implementing a Deluge Reverse proxy you can access Deluge via your custom DNS address like http://htpcguides.crabdance.com/deluge instead of http://IP:8112. This Deluge reverse proxy how-to was tested on Debian and Ubuntu but the nginx virtual host should work on any Linux system (CentOS, Red Hat, Fedora, Arch etc). 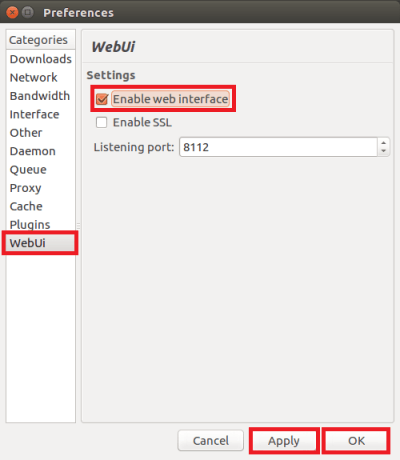 In order for Deluge to accept reverse proxy connections from nginx you need to have the WebUI plugin enabled. 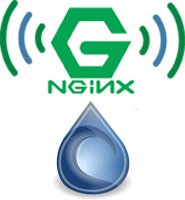 Then you just make a simple modification to the nginx virtual host to enable the Deluge nginx reverse proxy. 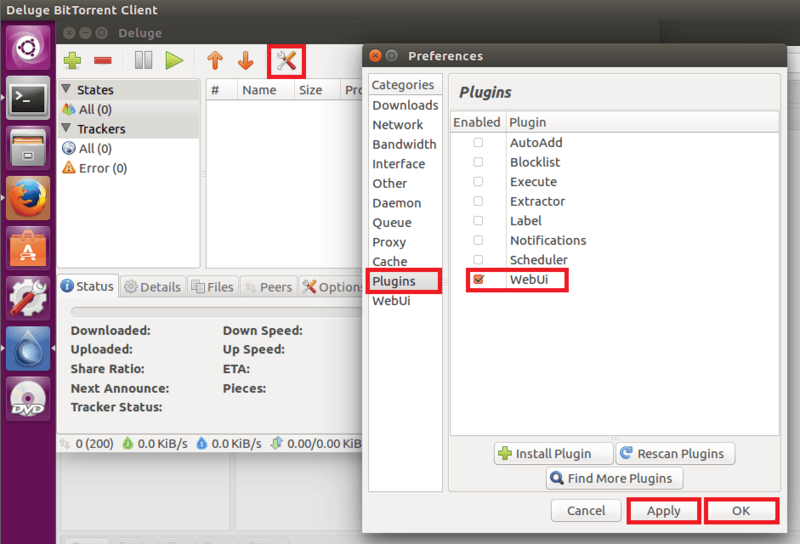 Open the Deluge client and click the settings icon and then Plugins in the left pane. 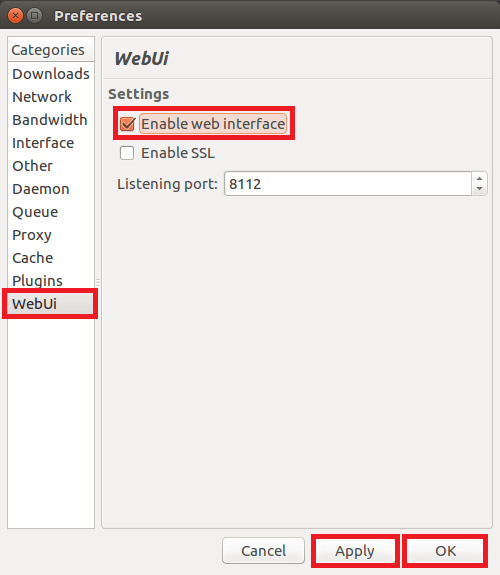 Check WebUi, then hit Apply and OK.
Make sure Enable web interface is checked and note the port used is 8112, you can change it if you want a different port. If you are prompted for a password it should be deluge. If the default deluge password fails you can reset the web interface settings so the password is deluge. Alternatively you can reset the password with this script. Now you can move on to the nginx section. Paste the nginx Deluge configuration borrowed from here and replace htpcguides.crabdance.com with your dynamic DNS address and 192.168.40.100 with the device’s local IP. If you want to use SSL and you should if you are accessing over the internet to keep your login credentials encrypted, see this guide to generate the SSL certificates.